With the holidays fast approaching, the World Federation of United Nations Associations (WFUNA) offers a gift that keeps on giving for your family, friends and employees. The WFUNA is delighted to partner with Favarger and Manor for a limited edition box of 100% pure and natural Swiss chocolates, with a portion of the proceeds benefiting their human rights program. 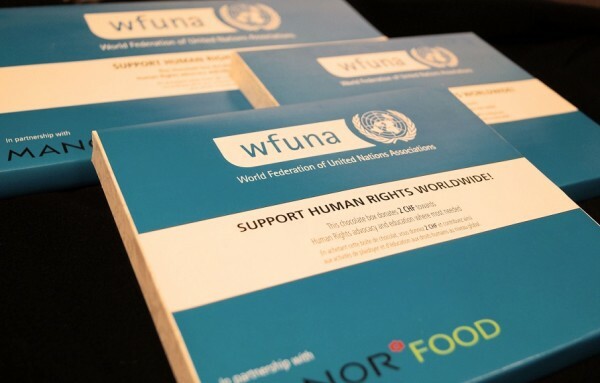 By purchasing WFUNA’s Chocolate Boxes, you can show your appreciation with a delicious gourmet treat as well as highlight your commitment to supporting Human Rights worldwide. The World Federation of United Nations Associations (WFUNA) is a global nonprofit organization representing and coordinating a membership of over 100 national civil society organizations, United Nations Associations (UNAs), and their thousands of constituents. It was founded in 1946 with the primary mission of supporting the goals of the United Nations. With the purchase of WFUNA’s Chocolate Boxes, you are donating towards a fund that allows civil society leaders from developing countries to learn through WFUNA’s “Civil Society in Action for Human Rights” program how to implement Human Rights projects and advocate the advancement of Human Rights in their countries. How am I contributing to the cause of Human Rights? Education is the first step towards transforming society. After the training, participants are given the tools to contribute and advance the Human Rights situation in their country of origin. Empowering people and providing them with better knowledge on how to advocate for Human Rights on a national and international level are essential to bringing change and transforming the world. 100% of the production takes place in Favarger’s chocolate manufacture in Geneva. Favarger roasts and produces 100% of the chocolate. The chocolate contains 100% pure cocoa butter. 100% of the milk used comes from Switzerland. All the flavors are 100% natural (0% additives, 0% preservatives). 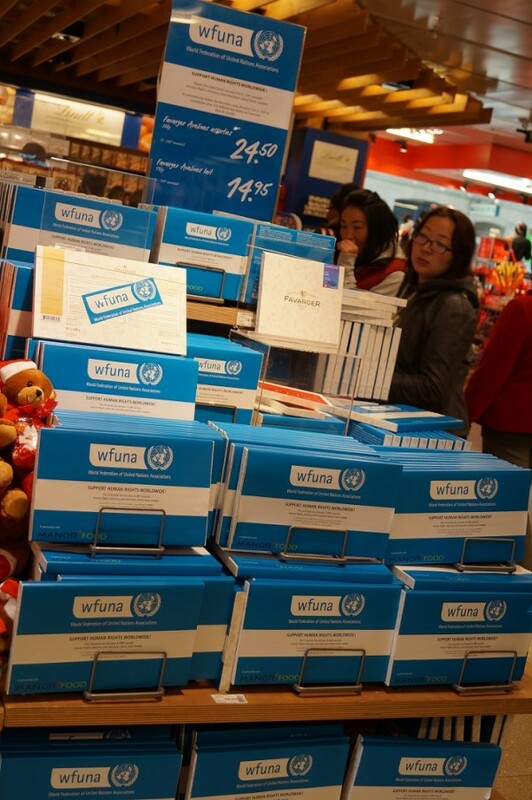 How can I buy WFUNA’s Chocolate Boxes? The price for the small box is 14.50CHF (2CHF donated to the Human Rights cause). The price for the large box is 24.50 CHF (3CHF donated to the Human Rights cause). There’s nothing sweeter than making a lasting impact on the world! We thank you in advance for your generosity and wish you a happy, human-rights friendly Christmas. Geneva Family Diaries would like to thank the World Federation of United Nations Associations (WFUNA) for kindly contributing this article and for sharing this important information with our readers. Please show your support for this fantastic initiative! ← It’s a Reima Winter!